The Dassault Mirage 2000 is a French multirole, single-engine fourth-generation jet fighter manufactured by Dassault Aviation. It was designed in the late 1970s as a lightweight fighter based on the Mirage III for the French Air Force (Armée de l'Air). The Mirage 2000 evolved into a multirole aircraft with several variants developed, with sales to a number of nations. The variants include the Mirage 2000N and 2000D strike variants, the improved Mirage 2000-5 and several export variants. Over 600 aircraft were built and it has been in service with nine nations. We are proud to offer the Mirage 2000 as our latest model in the 12 blade 80mm EDF offering. As you've come to expect from Freewing Model, the Mirage 2000 is loaded with scale features and performance componentry. The new 80mm 12-blade EDF with metal housing powered by a powerful 1750kV motor produces nearly 6 pounds of thrust for awesome speed and incredible maneuverability. The sound produced from the 12 blade EDF will simply blow you away. While 5 and 6 blade EDF produce a high pitched whining sound, the 12 blade EDF with metal housing produces the "whoosh" and air crushing sound similar to a gas turbine jet. Additional upgraded features include a 80A Hobbywing ESC, 9g precision servos, and electronic retracts with full metal shock absorbing struts. 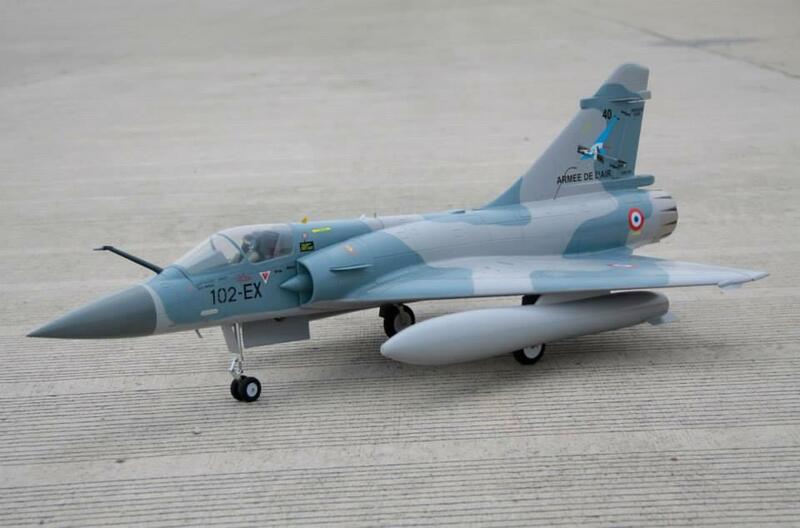 Own the latest, highly detailed, best built RC foam jet on the market from Freewing - the Mirage 2000.